In recent years, there has been a significant rise in the appointments of Chief Data Officers (CDOs). Although this role is still very new, Gartner predicts that 25 percent of organizations will have a CDO by 2017, with that figure rising to 50 percent in heavily regulated industries such as banking and insurance. Underlying this change is an increasing recognition of the value of data as an asset. Last week the CDOForum held an event chaired by Dr. Shonali Krishnaswamy Head Data Analytics Department I2R, evaluating the role of the Chief Data Officer and looking into data monetization strategies and real-life Big Data case studies. Chief Data Officer (CDO) is a senior executive who bears responsibility for the firm’s enterprise wide data and information strategy, governance, control, policy development, and effective exploitation. The CDO’s role will combine accountability and responsibility for information protection and privacy, information governance, data quality and data life cycle management, along with the exploitation of data assets to create business value. With the Chief Operating Officers (COO) and with the Chief Marketing Officer (CMO) on creating new business models, including data driven products and services, mass experimentation and on ways to acquire, grow and retain customers including personalization, profitability and retention. With the COO on ways to optimize the operation, counter frauds and threats including business process operations, infrastructure & asset efficiency, counter fraud and public safety and defense. With the Chief Information Officer (CIO) on ways to maximize insights, ensure trust and improve IT economics, including enabling full spectrum of analytics and optimizing big data & analytics infrastructure. With the Chief Human Resource Officer (CHRO) on ways to transform management processes including planning and performance management, talent management, health & benefits optimization, incentive compensation management and human capital management. With the Chief Risk Officer (CRO), CFO and COO on managing risk including risk adjusted performance, financial risk and IT risk & security. To unleash the true power of data, many CDOs are expanding their role as a way of expanding scope and creating an innovation agenda, moving from Basics (data strategy, data governance, data architecture, data stewardship, data integration and data management) to Advanced, implementing machine learning & predictive analytics, big data solutions, developing new products and services and enhancing customer experience. Organizations have struggled for decades with the value of their data assets. Having a new chief officer leading all the enterprise-wide management of data assets will ensure maximum benefits to the organization. Last week I was attending the IDC FutureScape, an annual event where IDC, a leading market research, analysis and advisory firm, shared their top 10 decision imperatives for the 2015 CIO agenda. The keynote speaker, Sandra Ng, Group Vice President at ICT Practice, went through the slides mentioning the newest technologies and keywords like Big Data and Analytics, Data Science, Internet of Things, Digital Transformation, IT as a service (ITaaS), Cyber Security, DevOps , Application Provisioning and more. Eight years ago when I’ve completed my M.Sc in Computer Science, most of these technologies were either very new or didn’t exist at all. Since the IT landscape is evolving so fast, how can we keep up and stay relevant as IT professionals? There is obviously the traditional way of registering for an instructor led training, be it PMP, Prince2, advanced .NET or Java, sitting in smaller groups for a couple of days, having a nice lunch and getting a colorful certificate. But there are other options to access a world-class education. A massive open online course (MOOC) is an online course aimed at unlimited participation and open access via the web. In addition to traditional course materials such as videos, readings, and problem sets, MOOCs provide interactive user forums that help build a community for students, professors, and teaching assistants (TAs). 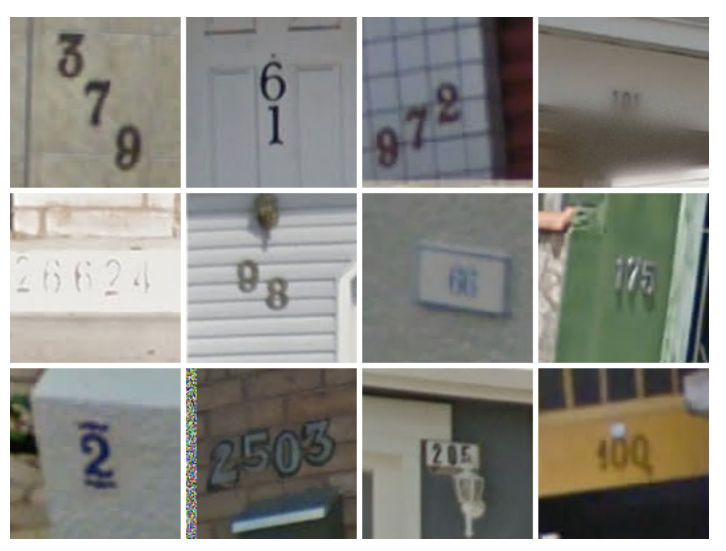 Are you keen to learn more on how Google cracked house number identification in Street View, achieving more than 98% recognition rates on these blurry images? Why don’t you join Stanford’s Andrew Ng and his online class of 100,000 students attending his famous Machine Learning course? I took this course two years ago, and this guy is awesome! So awesome that Baidu, the Chinese search engine, just hired him as a chief scientist to open a new artificial intelligence lab in Silicon Valley. You can also join Stanford’s’ professors, Trevor Hastie and Robert Tibshirani, teaching Statistical Learning, using open source tools and a free version of the text book An Introduction to Statistical Learning, with Applications in R – yup, it’s all free! There is a huge variety of online classes, from Science to Art to Technology, from top universities like Harvard, Berkeley, Yale and others – Google the name of the university plus “MOOC” and start your journey. My name is Ofir Shalev and I’m passionate about utilizing data and technology to solve real life problems. I like to train Deep Neural Nets on medium datasets. Chief Data Scientist at CXA Group, ex partner & CIO at Mercer. Let’s connect on Twitter and LinkedIn.